A senior air crash investigator is saying that the missing MH370 was “glided” into the ocean by someone in control of the plane, with the implication that the current Australian-led search for the plane is being conducted in the wrong place, according to a report by “60 Minutes” Australia. The prevailing theory had been that the Malaysia Airlines jet plunged into the ocean after running out of fuel. However, investigator Larry Vance told “60 Minutes“ that a part of the plane’s wing found on Reunion Island last year is the strongest clue that someone was in control, according to News.com.au. Vance said that the way the plane’s flaperon—a control surface on a plane’s wing that helps stabilize the plane during landing—was broken off suggests that the wing part was manually deployed for landing and dragged off by the force of the water. “It wasn’t broken off. If it was broken off, it would be a clean break. You couldn’t even break that thing,” he said. “Everybody should then have concluded in my opinion that this was a human engineered event, there’s no other explanation,” he said, according to Australian Associated Press. Peter Foley, Australian Transport Safety Bureau search manager, says that data showing the plane’s rapid descent suggests that it was an accident, but this new information shows that the plane’s flaperon may have been deployed. Foley added that they haven’t ruled out the possibility that the plane was under pilot control until the end. 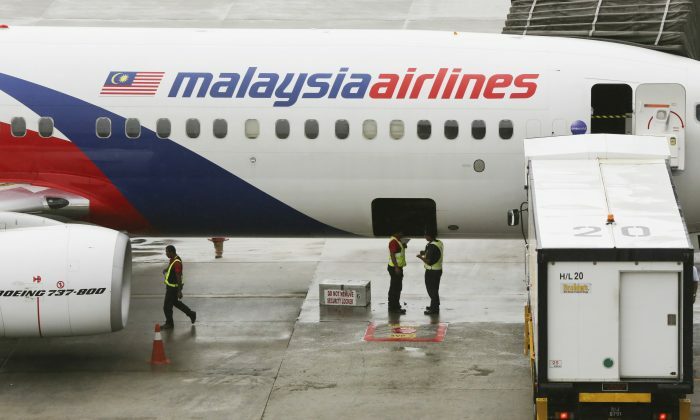 The report came on the heels of an FBI investigation revealing that MH370 pilot Captain Zaharie Ahmad Shah flew a test route on his home flight simulator that was very similar to that of the aircraft-at-large. Since that revelation, speculation has been mounting that the crash may have been premeditated.